Since Apple launched their iOS 7 beta update, lot of people are trying to update or install new iOS 7 beta 1 on their iPhone, iPad & iPod Touch. If you or your friends have recently installed/updated their iPhone, iPad & iPod Touch to iOS 7 Firmware and if you are facing some trouble while using it because it has no back for iOS 7 Untethered Jailbreak. Our developers have come up with that the maximum users is getting clung at different spots due to lack of knowledge of installing beta software on iPhone device. Installation of iOS 7 beta 1 is fairly simple and easy of lots, but everyone knows that lots of users are not aware about iOS 7 beta 1 process so how users can install their update software in their smartphones and some users doesn’t know where you guys have to sign up your UDID device before running a trial beta on the device then you can Downgrade Latest iOS 7 Firmware to Old iOS 6.1.4/6.1.3 Firmware On iPhone 5, iPhone 4S, iPhone 4, iPod 5G Touch, iPad 4, iPad 3, iPad 2 and iPad Mini devices using iTunes. Generally, Apple has never made an easy process for everyone in the market and limits the access to iOS 7 beta 1 files for developers only. Our team has already shared techniques to install iOS 7 betas 1 without any UDID registration with our provided iOS 7 beta 1 download links. I think no one know that it is not an easy act to Downgrade an Apple iOS Firmwares but because it is yet joining iOS 6.1.4 and iOS 6.1.3, it’s permitting Apple iPhone, iPad and iPod Touch users to Downgrade iOS 7 to iOS 6.1.4/6.1.3 Firmware. We are offering the downloading service for latest iOS 7 betas since WWDC 2013 Keynote morning. Below you can see the complete tutorial and guides on how someone can How to Downgrade Latest iOS 7 Firmware to Old iOS 6.1.4/6.1.3 Firmware for iPhone 5, iPhone 4S, iPhone 4, iPod 5G Touch, iPad 4, iPad 3, iPad 2 and iPad Mini. Nevertheless, are you guys not in mood to update their iOS 7 betas 1 on your device? Or someone still facing problem while installing that update. There is only one error show while updating iOS 7, that message is your device is not registered with developer program, then you can downgrade your device to iOS 6.1.3 (on iPhone 4 / iPhone 4S) while on iPhone 5 to iOS 6.1.4. Our developers can verify that downgrade is not impossible from iOS 7 beta 1 to any latest publicly released iOS version. Apple has also verified in its recent iOS Dev Center conference that developers can downgrade their device without any problem. How to Downgrade Running iOS 7 Beta 1 to iOS 6.1.4/6.1.3 Firmware On iPhone 5, iPhone 4S, iPhone 4, iPod 5G Touch, iPad 4, iPad 3, iPad 2 and iPad Mini. 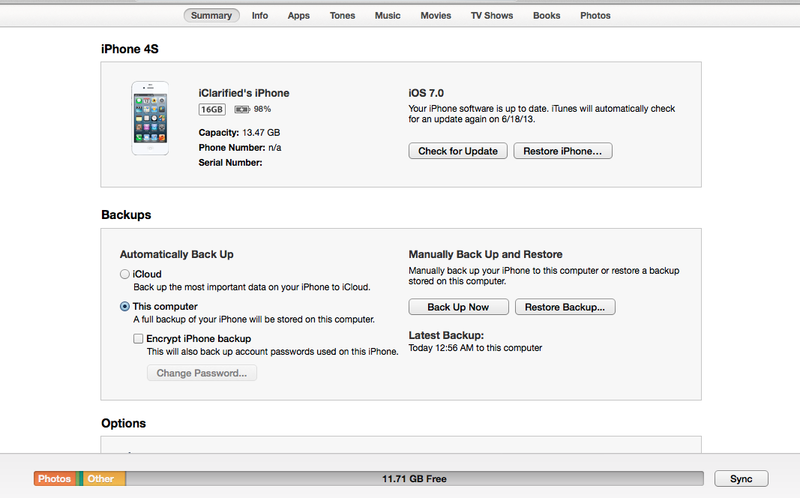 Step 1: Before download latest iOS 6.1.3 for iPhone 4 / 4S or iOS 6.1.4 for iPhone 5 on your Mac or Laptop. You should have latest Apple iTunes software installed. Step 2 Now, Place your iDevice into DFU mode. Step 3: Open Apple ITunes software on your Mac or Laptop, and access the device you require to downgrade, and Hold the "SHIFT" button for Windows or "ALT" on Mac OS X and click "Restore". Step 4: Now point the earlier downloaded iOS 6.1.3 or iOS 6.1.4 IPSW file to start restore process. Step 5: When completed and after restart, the device will be on iOS 6.1.4 / 6.1.3 Firmwares. Congratulations!! You're end the process. If you are facing problem or you are stuck at black screen on your iPhone or iTunes where it says you that your iPhone or other device is not sig-up with Apple dev program or it can’t confirm the install or update for your iPhone. In this case you can simple use other technique to make it work on your iPhone or other device. 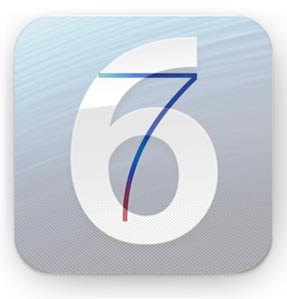 There are numerous methods to downgrade iOS 7 betas 1 to present iOS 6.1.4 or 6.1.3. Some folk are accomplishing the objective using Restore Mode, and few are utilizing DFU mode. 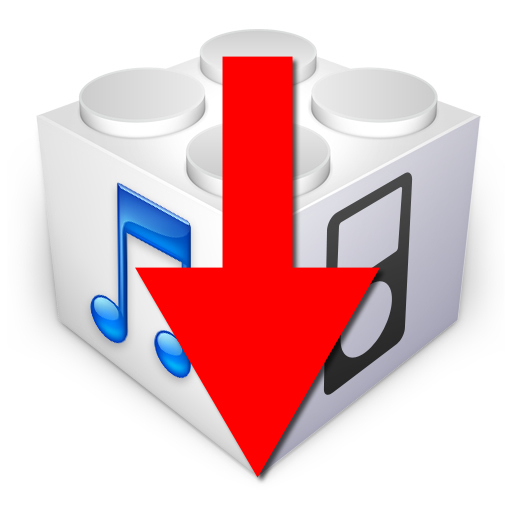 If you are running into an error with TinyUmbrella (Restore Mode) technique then you can easily put your iPhone or device into DFU mode and link with iTunes to restore it. Method 1: Get your latest TinyUmbrella for Mac and Windows OS. Suppose if you want to use DFU mode then ignore this step. Method 2: Now you need to download iOS 6.1.3 or iOS 6.1.4 for your iPhone and other device on MAC and Laptop. 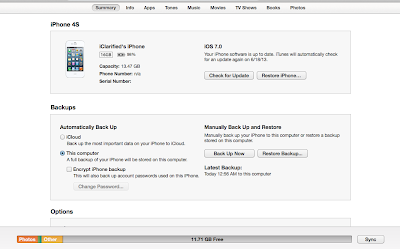 Method 3: Now you attach your iPhone device and put in Recovery Mode using TinyUmbrella. / enter your device into DFU Mode. Method 4: When your device arrives in a restore mode, you can again use iTunes to point earlier downloaded iOS 6.1.3 or iOS 6.1.4 firmware to downgrade. Note: Suppose iTunes halt identify your device on desktop, you can simple put it in restore mode and can downgrade to most static and publicly released iOS 6.1.3 or iOS 6.1.4.